Adaptation of Theodor Fontane’s novel set in the late 19th century. 17-year-old Effi Briest (Hanna Schygulla) is pushed into marrying aristocrat Baron Geert von Instetten (Wolfgang Schenck). Unhappy in her marriage, she is seduced by Major Crampas (Ulli Lommel), which causes scandal in her highly regulated society. 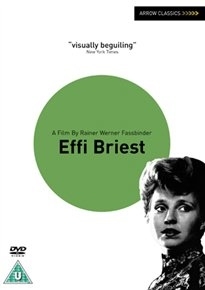 When von Instetten learns of their affair, Effi finds herself thrown out of the household with nowhere to go and no one to turn to.